I actually found this being sold at 780 renminbi ($120) at the Shenzhen Electronics Market the day after I bought it. So the price for this is actually as low as that. Also see my video review of the similar but even cheaper $87 FG8 3.5" capacitive MTK6515 HTC Desire clone. 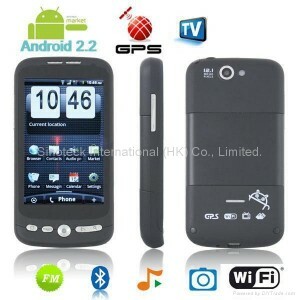 And my video interview with Karasnn.com the probable manufacturer of this $120 MTK6516 Hero H2000 smartphone. I bought one of my H2000 from Sinoteck for $149 (969 renminbi) at http://bysino.net a partner of http://dhgate.com (they were exhibitor at the Shenzhen Electronics Fair) and the other I bought for $131 (850 renminbi) on the Shenzhen electronics market, then finding it being sold for $120 (780 renminbi) the day after. 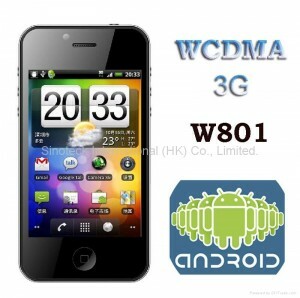 Chang Jiang make some of the Mediatek 6516 based Android phones available in the Shenzhen market. They seem to be the guys making my Hero H2000 Android 3.5" capacitive $120 iPhone4-copy smartphone. Cheap Android smartphones based on MediaTek MT6516 dual-sim GSM. Here are some Android Mediatek 6516 smartphones, they have different designs, resistive and capacitive. Here's my initial video- and photo-review of this $87 Android smartphone that I found at the Shenzhen electronics market. It's based on the ARM9 Mediatek MTK6516 processor, with Dual-SIM (GSM/GPRS/EDGE) support, Android Froyo 2.2 installed (seems smooth! 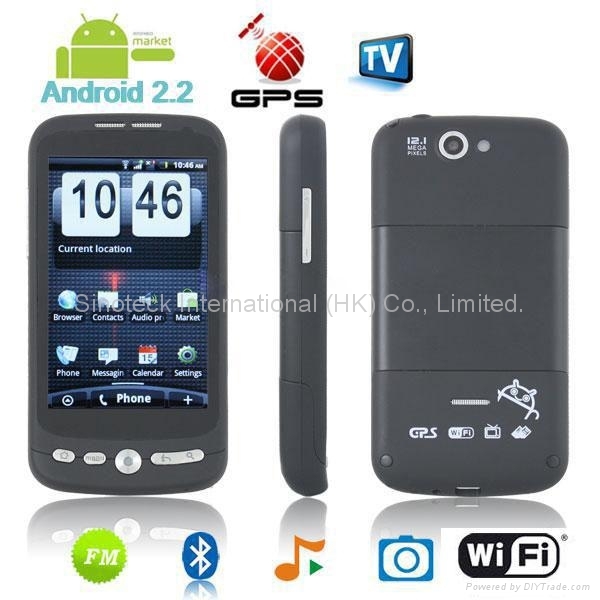 ), AGPS, 2Megapixel Camera, Bluetooth A2DP, the screen is a great 3.5" capacitive touch screen, seems super! You read this right, this one now sells on the Shenzhen market for only $87 (565 Chinese Renminbi). WiFi, FM, Bluetooth A2DP, AGPS, 2Mpix Camera, Microphone, MicroSD card slot (up to 32GB), Mp4 playback support claimed, 3-4 hours talk time and 200 hours standby time claimed (I haven't tested yet). Let me know in the comments what features you would like me to test in my next videos of this device. If you can find links for realiable-looking online Shenzhen exporters for where to order, post the links to export stores in the comments, so interested people can try to order with worldwide shipping. Why pay $800 for an iPhone (or $199 on 2-year $2000 contract), when you can buy an Android version for $149 and not have to pay anything further, other that perhaps a pre-paid plan. This one uses the Mediatek ARM9 460Mhz with DSP, runs Android Froyo. You can watch my Mediatek video from Mobile World Congress, they are one of the leaders in making these lowest cost ARM SoC solutions for Android smartphones, their next generation adds support for 3G networks. This $149 Sinoteck H2000 Hero comes with a 3.5" HVGA capacitive touch screen, excellent Android implementation by Mediatek, that one is GPRS/GSM only though, Sinoteck also sells a Qualcomm MSM7200A based version for 3G/WCDMA support but for an additional $50. This is the type of stuff I am looking for. Sub-$150 Android smartphone, with 3.2" or larger capacitive touch screens, decent looking Android install. 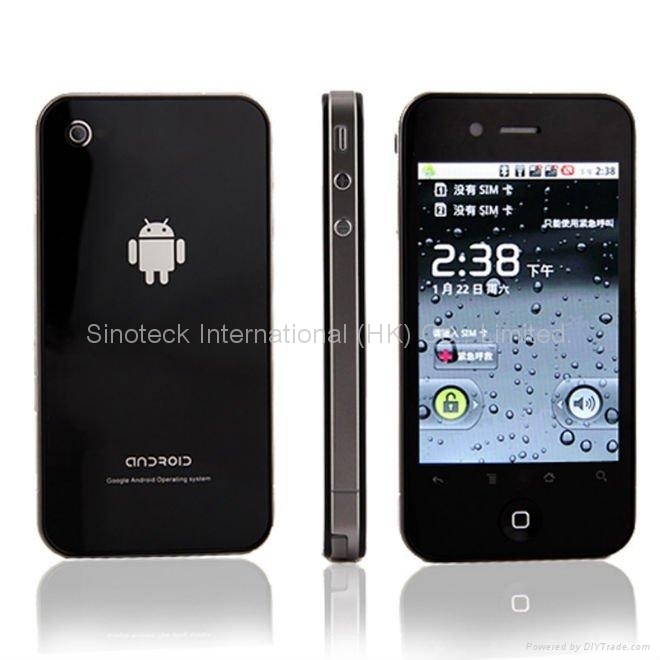 This one comes with 3.2" capacitive and Android Froyo support. Please do some search for this on the web and please post full specs in comments so that I can update this page with the full specs. This one may be based on the Mediatek MTK6516 460Mhz ARM9 with 208MHz DSP. This may be the worlds cheapest Android phone, it may be sold for below $99 unlocked to end consumers without any need for contracts, it has a 3.2" WQVGA capacitive touch screen, dual-sim support (EDGE, not 3G), runs on the MediaTek MT6516 ARM9 SoC platform. AnyData is targetting this device to the Indian and Chinese markets first, the rest of the world is also about to get access to these cheaper Android phones. Cheaper Android phones is key to making Android the absolute most popular smartphone platform of the future, bringing the mobile Internet and apps to potentially billions of people around the world. Mediatek is showing their new ARM11 based SoC platform for sub-$80 Android smartphones at Mobile World Congress, this is one of the areas that I find to be the most fascinating.